A screen shot of the new Food Network game for the Nintendo Wii. We already have reality television so why not welcome reality video games as well? The Food Network is rolling out a Wii video game, but it's unclear whether it's incredibly boring, incredibly stupid, or both. The game will chefs competing to perfect over 30 recipes in real time. 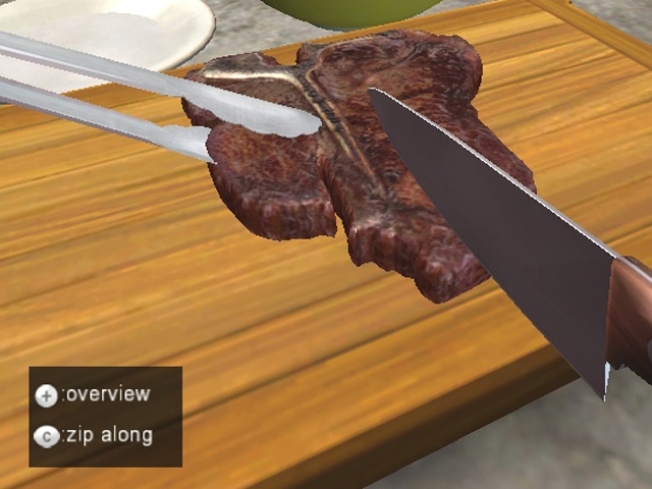 All the ingredients will be at your fingertips and Food Network stars go virtual in the game. In some cases that can be rather scary. And you thought people don't cook anymore.